Have a question? Great. We'll be happy to help you! Feel free to browse this page for answers to some frequently asked questions but please do not hesitate to email or call us if you need further assistance. What to look for when buying olive oil? The first thing that you need to make sure is that you're always buying "extra virgin". Avoid lower quality products such as "pure", "lite", "pomace" and "virgin" olive oil. Look for the harvest date and make sure the oil was harvested within the last year. For example, if you're buying in 2018 you have to make sure the oil was harvested late 2017. 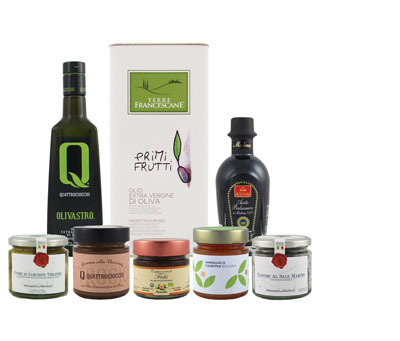 Olive Oil Lovers only features extra virgin olive oils and only of the highest quality. We work with some of the world's best producers and we have extremely strict quality standards. Are all your olive oils new harvest? Yes. However, there is a brief perior (February to March) that new harvest and last harvest olive oils co-exist in our catalog because that is the period new harvest olive oils begin to arrive in the United States. During that period, old harvest olive oils are on sale. At Olive Oil Lovers you can easily tell the harvest date by looking at the product page of the olive oil(s) you are interested in. Note that Fall 2017 is "New Harvest" throughout 2018. Are your EVOOs "First Cold Pressed"? The short answer is yes. The long answer is that "First Cold Pressed" is generally a purely commercial wording with no factual meaning. 95% of all oils, including most of the world’s best oils, are produced by Continuous Cold Cycle. The olive paste that results from crushing the olives is always pressed or put through the decanter only one time with the temperature remaining below 75 degrees Fahrenheit. What happens if I buy and the products get damaged during transit? We will exchange or refund your order. Please provide a photo and description of the damage and email us at help@oliveoillovers.com. What is the best way to store a bottle of olive oil? The two biggest enemies of an olive oil are light and heat. In order to best preserve a quality extra virgin olive oil, it is crucial to keep your oil stored away in a cool, dark place, preferably in a cabinet away from a heat source, such as a warm stove. Our customer service hours are 9am - 5pm EST, Monday to Friday. This line is exclusive for customer service; all other callers will be asked to use a contact form. Producers, please use this form.